You can blame your medial prefrontal cortex. It’s so romantic. WHEN YOU FEEL that irresistible pull to the face or body of a stranger you can blame your… medial prefrontal cortex. That’s the brain region responsible for “love at first sight” researchers say. 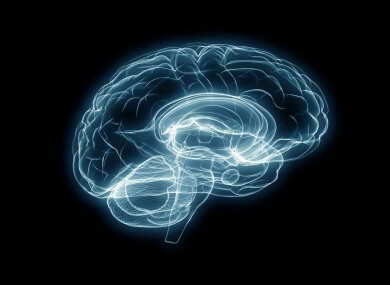 This brain region gets more active when you see someone that you are physically attracted to. In their studies they scanned the brains of speed daters. Potential dates that lit up the dorsomedial prefrontal cortex the most were more likely to be picked for a date. Another study found four brain regions that were specially activated when watching sexually explicit films (and not when watching neutral or comedic films). The first was the inferior temporal cortex, a region also corresponding to the visual associative zone. The researchers inferred that the subject was assessing and analysing the visual stimulus when this zone was activated, corresponding to the perceptive-cognitive component of sexual arousal. The second region was the right orbitofrontal cortex, which might be related to emotional and motivational phenomena. The third area was the left anterior cingulate cortex, which appears to control primary physiological responses (endocrine and autonomic), but also affective responses, to sexual stimuli. In other words, it would govern physical and psychological preparation for sexual activity. Finally, the right caudate nucleus probably controls whether sexual arousal is followed by sexual activity. The researchers also saw that testosterone levels rose during the sexually explicit film. Hormones like testosterone and oestrogen are what modulate our sexual desires — they increase when we hit puberty. Adrenaline: The initial stages of falling for someone activates your stress response, increasing your blood levels of adrenalin and cortisol. This has the charming effect that when you unexpectedly bump into your new love, you start to sweat, your heart races and your mouth goes dry. Dopamine: Helen Fisher [of Rutgers University] asked newly ‘love struck’ couples to have their brains examined and discovered they have high levels of the neurotransmitter dopamine. This chemical stimulates ‘desire and reward’ by triggering an intense rush of pleasure. It has the same effect on the brain as taking cocaine! Serotonin: And finally, serotonin. One of love’s most important chemicals that may explain why when you’re falling in love, your new lover keeps popping into your thoughts. Email “This is what happens in your brain when you fancy someone”. Feedback on “This is what happens in your brain when you fancy someone”.